Global Travel Media » Blog Archive » Why stay in the heat when cooler destinations await? Are you ready to pack your winter clothes? (Yes, you read that right!) As Singapore struggles with the sweltering heat wave that’s hit our shores lately, we turn to destinations where we can keep calm and feel cool. From snowy landscapes to watery wonders, ZUJI Singapore has put together 5 destinations that will leave you feeling refreshed. Stay blissfully out of the heat down under as June marks the beginning of winter in Australia. 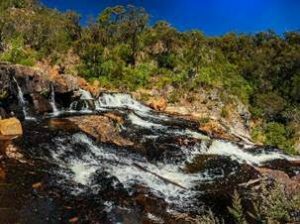 Take a three-hour drive from Melbourne toMackenzie Falls – one of Australia’s largest and most popular waterfalls. This year-round flowing waterway promises panoramic views of the surrounding mountain ranges, with snaking walks along the bottom of the falls if you’re keen to get closer. Grab a picnic basket and relax at one of the nearby picnic grounds to the sounds of the trickling waterfalls around you. 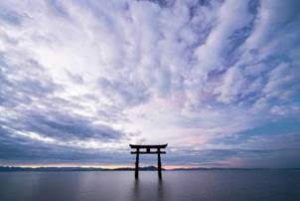 Said to be at least four million years old, Lake Biwa is Japan’s largest lake and is a stone’s throw away from Kyoto. Surrounded by cities and islands, this crystal clear lake is a hub for activities, from water sports to being a great vantage point for fireworks displays during the Japanese summer. If you’re feeling a tad too warm to visit the various shrines and castles nearby, take a dip in the cool freshwaters by Omi-maiko beach and stroll along the sandbank while admiring Lake Biwa and the Hira mountains in all their glory. Can you hear the water calling you yet? If travelling far is not an option, fret not! 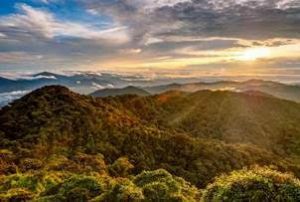 Make your way up to Cameron Highlands if you want to get away from the bustling city and enjoy the city’s refreshing cooler climate. Visit the many plantations that thrive on the lower temperatures – from strawberry picking to tea-sipping activities, you’ll be spoilt for choice when it comes to things to do. If you’re after a little adventure, trek through the awesome hiking trails through lush forests or kick back in one of the gorgeous homestays, perfect for some downtime with friends and family. Ah, New Zealand, where the number of sheep outnumbers the country’s residents. 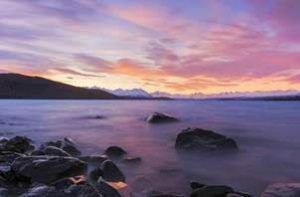 Currently enjoying the cold air of winter, Lake Tekapo gets its beautiful creamy turquoise colour from the fine rock-flour (ground by glaciers) that is suspended in the water. Part of a UNESCO Dark Sky Reserve, the lake is also the perfect spot for stargazing amidst the surrounding breath-taking view of the Southern Alps. Don’t forget to snap a photograph by the shores at the iconic Church of the Good Shepherd too! Skiing in July? Why not! 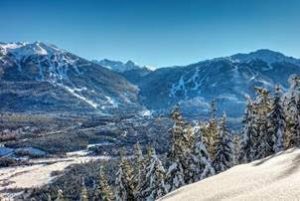 Grab your skis and gear and head straight to the snowy mountains at Whistler, the dream destination for skiers everywhere. With acres of snow-covered slopes, its guaranteed to make you feel like you stepped into a whole new world, away from hot and humid Singapore. Immerse yourself in the adventure and culture amidst gorgeous alpine peaks, lush rainforests, sparkling rivers and get acquainted with the locals by the village. When you can’t beat the heat, pack up and leave for cooler destinations instead! Check out ZUJI Singapore’s weekly flash sales for your escape to the cool. Separately, if you have any questions or would like to speak with a ZUJI spokesperson on travel insights, we’d be happy to assist, so please don’t hesitate to get in touch. High-res images can be downloaded here or as attached.